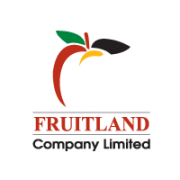 With a third generation experience in the sector, Fruitland Co. Ltd is the local leader in the importation and distribution of fruits. Since its set up in 1994 as the first member of Famalco Group, Fruitland Co. Ltd has seen substantial growth starting off of the first fruit trading companies to becoming well-established in the country. Its main objective in the business always has and remains to be, to provide our clients with an all-year round supplies of various fruit. To this regard, we have developed reliable business collaborations with producers from all over the world. Fruitland Co. Ltd imports its fruits from Ecuador, Colombia, Spain, Chile, Brazil, Argentina, USA, South Africa, Italy, Holland, Israel, Turkey, and a number of other countries. Maintaining this network requires excellent logistical planning and full dedication from a team of experienced staff. As an initiative that aims to improve and develop the brand, company members visit yearly renowned international fruit fairs to meet their suppliers in person. This is also one of the ways in which the brand continues to expand their network of contacts so that the local market could be provided with superior quality products. How is a high-quality level of products maintained? Products are ordered a week in advance and given a thorough check up from our experienced professionals on arrival, to ensure that our contributions meet the top quality requirements. Local suppliers are contacted, allowing the distribution process of our produce to commence. Fruitland Co. Ltd offers a wide range of imported goods and exclusive brands, such as GIOIA bananas, which are especially ripened to make sure that the customer is given supreme quality service. Other exclusive brands include our Valentina apples and Fatina dried fruits and nuts. Fruitland Company Ltd has become a staple in the local market and we seek to add to our list of importers, whilst keeping in mind the ongoing commitment of adding efficiency to our brand. Client satisfaction is one of Fruitland’s top priority. We manage to provide customers with instant solutions on personal requests, no matter what product they need, or how exotic the fruit.